In the direction of the far southern constellation of Volans a fascinating barred spirel galaxy can be observed: NGC 2442. NGC 2442 lies 50 million light years away and is thought to be disturbed by an unseen companion galaxy in former days. 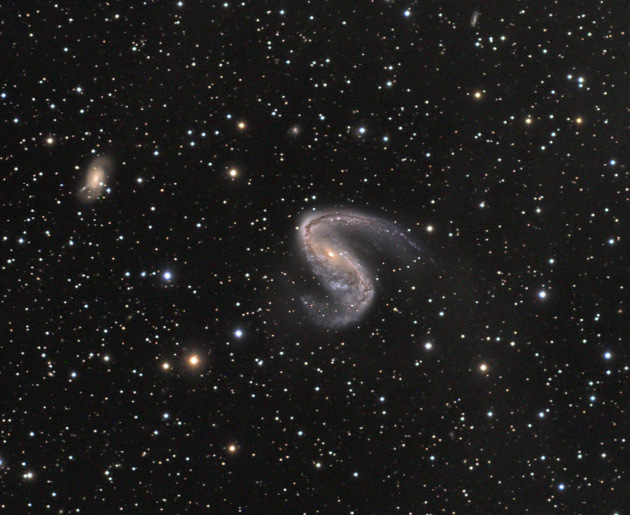 At mag 11.3 and with an apparent angular size of only 5 arcmins, NGC 2442 is both dim and small. Newer investigations at radio wavelenghts proved that NGC 2442 is embedded in a huge extragalactic gas cloud, not visible in optical wavelenghts. 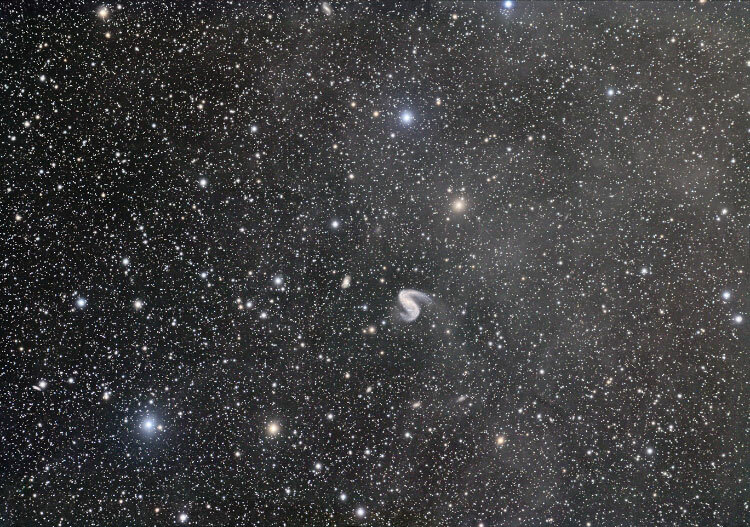 Additionally extended interstellar dust is very obvious in the eastern part of this field. Below you see the center crop of the above image in 75/150% size. Even below you see an enhanced image showing the interstellar dust in 18/36% size. AAO image of NGC 2442: 1. AAO deep image of NGC 2442: 2. Simulation of NGC2442 collision: 3. NGC 2442 tidal encounter: 4. Extragalactic gas near NGC 2442: 5.